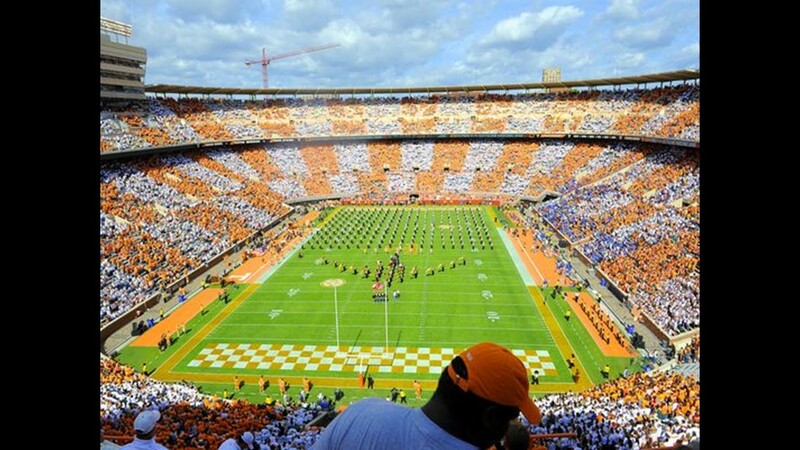 Well, technically, the season doesn't kick off for more than four months, but you can get your football fix this weekend at the Vols' annual Orange and White game! The scrimmage that caps spring practice will kick off on Saturday, April 13, at 6 p.m. inside Neyland Stadium. Admission and parking are free, and don't forget about the clear bag policy! 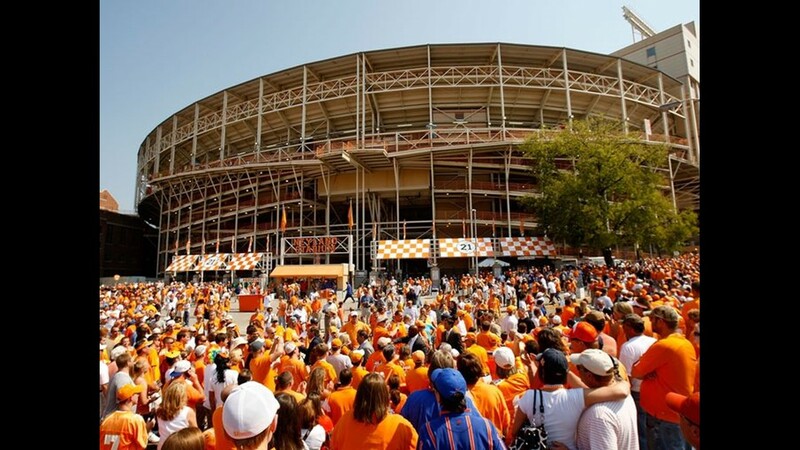 It's part of what UT is calling 'All Vol Weekend' as Tennessee will also host track and field, women's tennis, softball and baseball events from April 11-14. Parking is free on campus, plus free shuttles will be available for fans at the UT Ag Campus starting at 2 p.m. Free shuttles will also be available for the parking area located off Stephenson Drive at 4 p.m., following the conclusion of Lady Vol softball's matchup with Georgia at Sherri Parker Lee Stadium. Fans who need access to ADA shuttles should park on the UT Ag Campus for transport to Gate 21. Gameday road closures will be in effect. Starting at noon, Phillip Fulmer Way will be closed from Cumberland Avenue to Peyton Manning Pass. Peyton Manning Pass will close three hours before kickoff. Get more parking information here. The family-friendly pregame tailgate at Vol Village will open at 3 p.m. in Lot 9 (directly across from Neyland Stadium). Vol Village will feature fun for all ages and include photo opportunities with Smokey and the Spirit Squad, giveaways, interactive areas, DJ Sterling "Sterl the Pearl" Henton, WIVK personalities, face painting, food venders, inflatables, the latest Vol merchandise and gear, autographs with VFLs and much more. 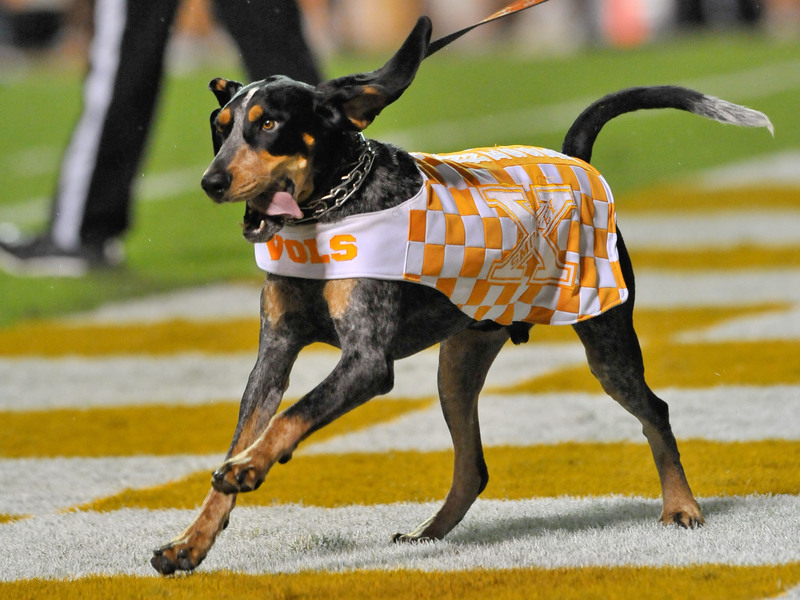 Smokey will also make a pregame appearance at the Student Union, where a statue will be unveiled in his honor. The first Vol Walk of 2019 will be at 4:55 p.m. on Saturday, according to a post from Tennessee Football on Twitter. Part parade, part pep rally, it usually starts at the Torchbearer statue in Circle Park. 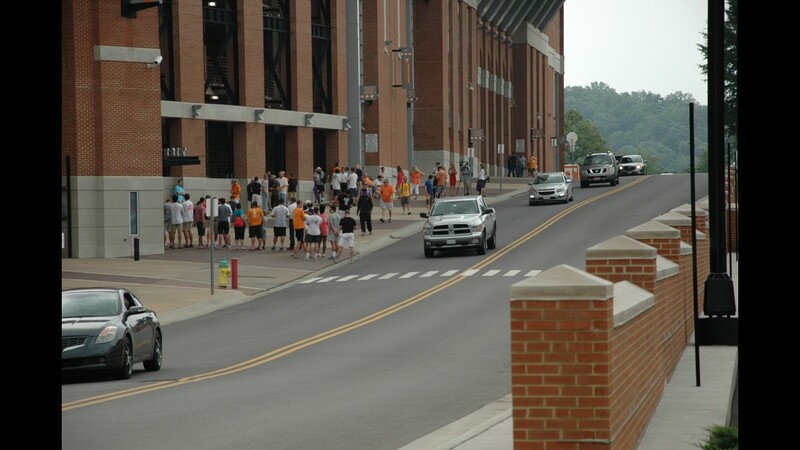 With cheering fans lining the path, the team will walk down Peyton Manning Pass, turn left on Phillip Fulmer Way and enter the stadium at Gate 21A. Don't miss the first #VolWalk of 2019! 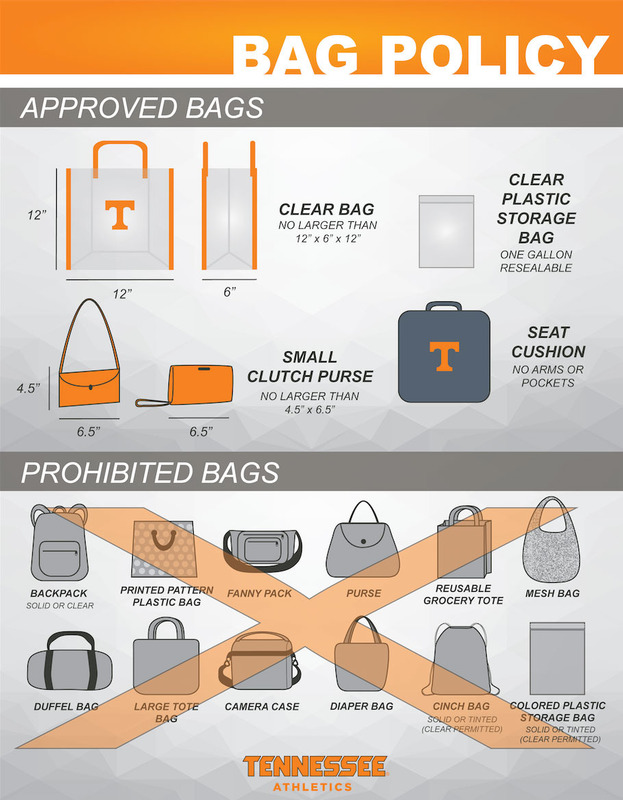 Gates to Neyland Stadium open at 4:30 p.m.
UT's clear bag policy will be enforced. 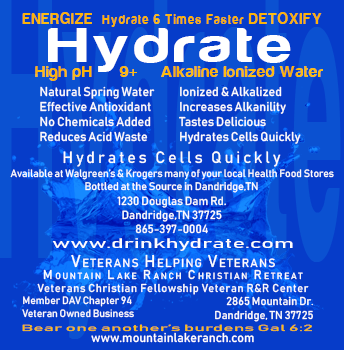 Fans will be allowed to carry in a clear purse or one clear plastic bag no larger than 12 inches by 6 inches by 12 inches or a one-gallon, clear, resealable plastic storage bag per person. You may also carry a small clutch purse or wallet no larger than 4.5 inches by 6.5 inches. No other bags will be allowed inside, and all bags will be searched. Get a full list of prohibited items here. There will be fan promotions at the quarter breaks to win season tickets and parking passes for the 2019 season. 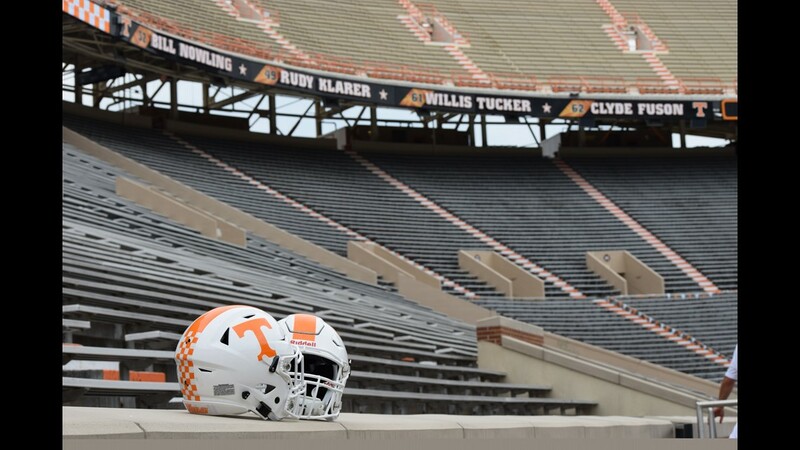 The extended weekend of April 11-14 will serve as a showcase for Tennessee Athletics with the Vols hosting events at track and field, women's tennis, softball and baseball as well as the Chevrolet Orange and White Game. Here's the lineup and what to expect, according to UT. Baseball vs. Georgia | April 11 – 7 p.m. | April 12 – 6:30 p.m. | April 13 – 3 p.m. The 22nd-ranked Tennessee baseball team will host Georgia, beginning Thursday, April 11, with tickets as low as $5. The second game of the series will be on Big Orange Friday and fans that buy one general admission ticket, get one general admission ticket FREE. 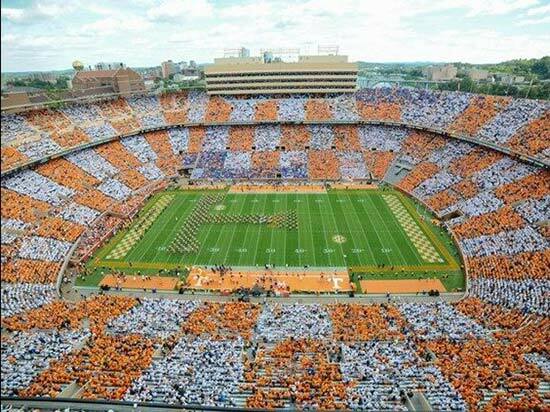 Print your Big Orange Friday voucher HERE and be sure to wear ORANGE to the game. Saturday's contest will be Kids Day. All children ages 12 and under will receive FREE admission and have the opportunity to run the bases after the game and get select player autographs in the outfield. The Tennessee track and field team will host the 52nd Tennessee Relays from Thursday through Saturday at the Tom Black Track at LaPorte Stadium. Admission is FREE. Softball vs. Mississippi State | April 12 – 6 p.m. | April 13 – 1 p.m. | April 14 – 1:30 p.m. The fifth-ranked Lady Vol softball program will host Mississippi State at 1 p.m. at Sherri Parker Lee Stadium. 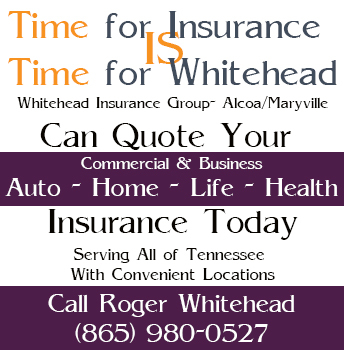 Tickets for the three-game series can be purchased at AllVols.com. Sunday's game is Senior Day, as well as Sunday Funday. Free ice cream for the 1st 100 kids, plus a KID'S CARNIVAL and Kid's 12 and under have the opportunity to run the bases after the game. Women's Tennis | April 12 – vs. Vanderbilt at 4 p.m. | April 14 – vs. Kentucky at 1 p.m. The Tennessee women's tennis team will host a pair of conference opponents at Goodfriend Tennis Center to close out the regular season, welcoming Vanderbilt on Friday, April 12, and Kentucky on Sunday, April 14. Admission is free.